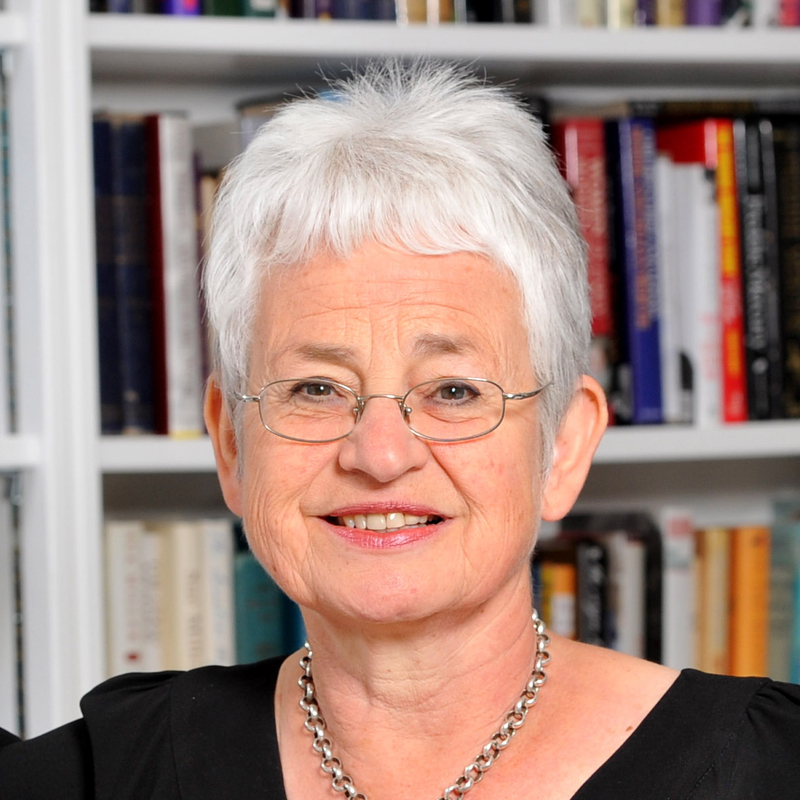 Booking is now open for the 2019 lecture, to be given by Jacqueline Wilson and entitled, Be Careful What You Wish For! The lecture will take place at 5.00pm on the 11th of April in the Mary Allan Building, Homerton College, Cambridge, CB2 8PH. After the lecture there will be a short wine reception. Both lecture and reception are free. To book your ticket, please use the form on the booking page of the lecture website. This entry was posted in Uncategorized on February 20, 2019 by Ben Norland. The video for Chris Riddell’s 2017 lecture is now live at our website. If you missed this excellent lecture then do visit the site and listen to it (and it is very much worth watching too, as it was certainly the most visually entertaining lecture that we have ever hosted). There was no video made for Allan Ahlberg’s 2016 lecture, but this is a reminder that there is a particularly interesting PDF version of Allan’s lecture available to download at the website. It’s a facsimile of his notes complete with hand written annotations and images of many of the documents and object that Allan used to illuminate the talk. Finally, a reminder about the date of this year’s lecture. From now onwards, the lecture will be held earlier, in the Spring of each year. The 2018 lecture will be given by Francis Hardinge and will take place on Thursday the 19th of April in the Mary Allan Building, Homerton College, Cambridge. This entry was posted in Uncategorized on January 8, 2018 by Ben Norland. We are very pleased to be able to present a set of notes for Allan Ahlberg’s 2016 lecture. This document reproduces Allan’s manuscript in full, along with notes and annotations. It also includes images of many of the books, cuttings and other ephemera that were used to illuminate his talk. No video or audio recording was made of the 2016 lecture, so it is wonderful to have this record available. The link below will open the PDF in your browser, and it can be downloaded for printing and viewing offline. The document is A3 in size, but can of course be reduced to fit on A4. Please not that the layout has been designed so that each A3 page will tile across two A4 sheets comfortably. This entry was posted in Uncategorized on August 30, 2017 by Ben Norland. Booking is now open for the 2017 Philippa Pearce Lecture! The lecture will take place at 5.00pm on Friday 8th of September in the Mary Allan Building, Homerton College, Cambridge. As always, after the lecture there will be a short wine reception. To book your ticket please use the form on the booking page of the lecture website. This entry was posted in Uncategorized on July 24, 2017 by Ben Norland. As we look forward to Allan Ahlberg’s talk tomorrow, we are pleased to announce that the 2017 lecture will be given by Chris Riddell. Twice winner of the Kate Greenaway Medal and current UK Children’s Laureate, Chris really needs no introduction, and we are enormously excited that he will be able to give next year’s lecture. The lecture will take place on Friday September 8th 2017 at 5pm. This entry was posted in Uncategorized on August 31, 2016 by Ben Norland. 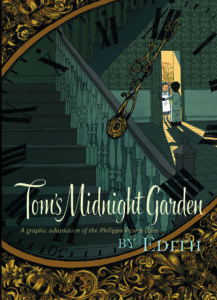 It is a nice coincidence that the day of this year’s Philippa Pearce Lecture is also the publication date of a new version of Philippa’s classic, Tom’s Midnight Garden. 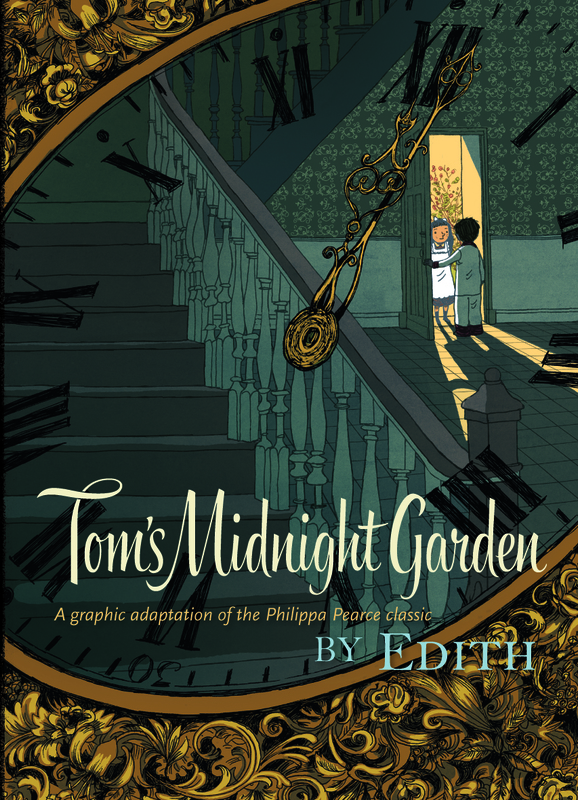 Adapted and illustrated by Edith, an acclaimed French graphic novel creator, the book is a full-colour retelling of the story in dialogue and pictures. Copies will be on sale after the lecture at the Heffer’s bookstall that operates during the wine reception. Selected titles from both Allan and Philippa will also be available. This entry was posted in Uncategorized on August 20, 2016 by Ben Norland. The lecture will take place at 5.00pm on the 1st of September in the Mary Allan Building, Homerton College, Cambridge. After the lecture there will be a short wine reception. To book your ticket please use the booking page. If you wish to book a second ticket please revisit the page and repeat the booking process. Once booked you will receive a confirmation email that includes your e-ticket. Print it out or download a mobile version, and take this with you to the lecture. The lecture is funded by donations. If you would like to donate, you can do this when you book your ticket. This entry was posted in The 2016 Lecture, Uncategorized on July 2, 2016 by Ben Norland. Click here to donate to the annual running costs of these lectures.